Bala is a laid back region of Wales which has wonderful locales and excellent views, as well as a truly wonderful community. (And let’s not be so humble, Bala also has a ton of excellent holiday parks such as our very own Pale Wood!) All-in-all, Bala is a lovely place to visit, and the pace of life in this beautiful area is very much laid back and carefree. Saying that, there are some experiences which guarantee to shake things up a bit. Take the Get Wet Adventure Company for instance – they’re specialists in outdoor activities and possess 55 acres of forest of which they dedicate to all things outdoors. There’s three separate paintball areas of which to enjoy, as well as one of the UK’s highest continuous rope courses. The High Ropes at the Get Wet Adventure Company has one massive advantage over other courses. The fact it’s so massive! The High Ropes are a staggering 21 metres high, and is laid out over countless aged Douglas Fir Trees. 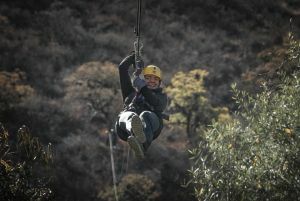 With a variety of large and small platforms, the session includes the attentions of the Get Wet Adventure Company’s instructors, as well as multiple zip lines, and all gear is included. For a white knuckle experience which is set in-between Bala and Corwen, we certainly would recommend it! There are three paintballing areas in the 55 acres of woodland at Get Wet – which gives your group a ton of variety. The sessions, one conducted in the morning and the other conducted in the afternoon, are three hours each – and your three hours include briefings as well as a kit issuing. 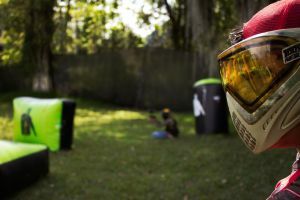 The Get Wet Adventure Company states that per session, they envision that paintballers will get to play in 6 or 7 different games, which are to be played in any of the three battle zones. Suitable for: All, but the Get Wet Adventure Company do ask that participants can swim 25m comfortably. Price: £55 – Includes all gear. North Wales is a beautiful place, full of so many unspoiled natural features. One of the very best features that North Wales has to offer is our waterways, and you don’t need to tell the Get Wet Adventure Company that twice. 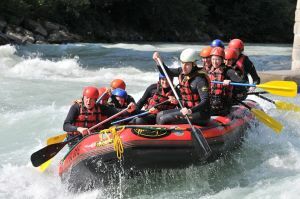 Their white water rafting experiences take place on the River Tryweryn which is just outside Bala – and is 5km of unspoiled, entirely natural and extremely fraught at times white water (and knuckle!) 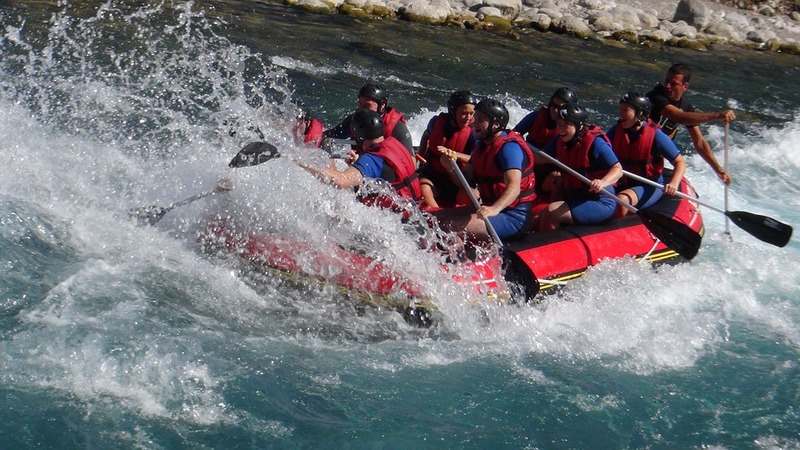 rafting. Of note on the route is the Long Left as well as the Bouncing Rock rapids, as well as Dump Truck Eddy. To finish the session on a high note, your final experience will be the decent (and drenching!) you’ll experience at the Bala Mill Falls.